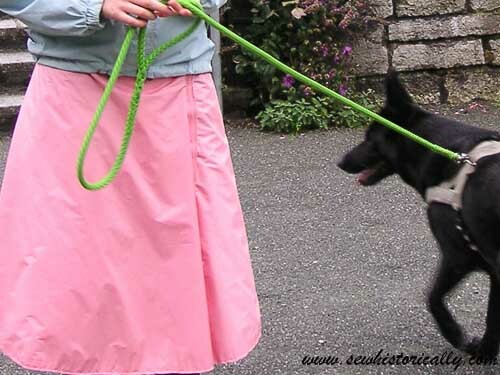 Store-bought rain skirt are ridiculously expensive and usually not very pretty. So I decided to sew my own rain wrap skirt. 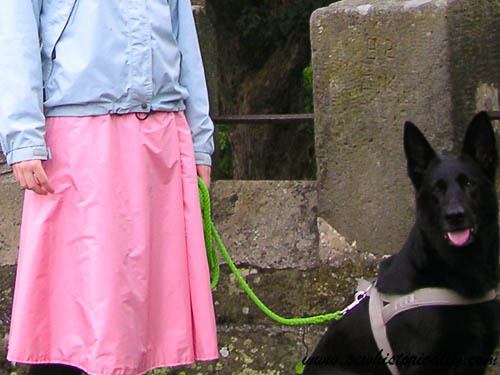 My DIY rain skirt is an A-line wrap skirt with a velcro closure. 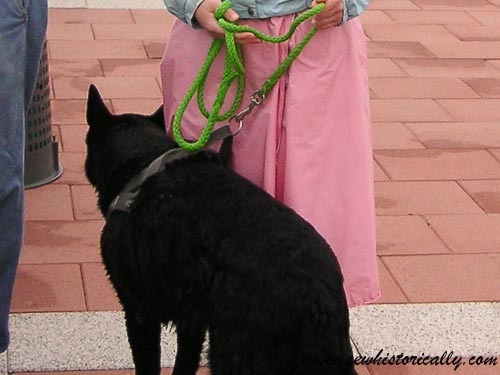 For the rain skirt, I used pink waterproof fabric, grey velcro tape, cotton fabric and cotton sewing thread. I decided to line the fabric to protect the polyurethane coating of the fabric. I used cotton fabric as lining because it’s more comfortable: on rainy but warm summer days I wear just the skirt without leggings underneath. I didn’t use tape or seam sealer and it never leaked through the seams. 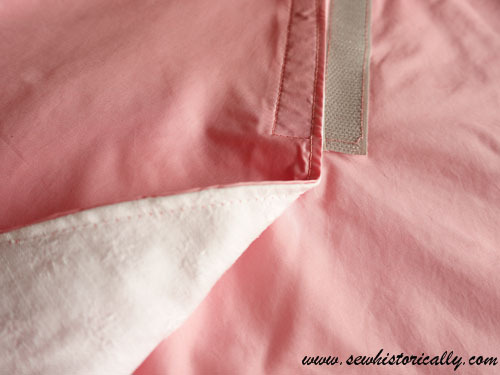 But I used cotton sewing thread instead of polyester sewing thread which makes the seams a bit more waterproof. Here I turned rain pants into a rain skirt. Thank you! 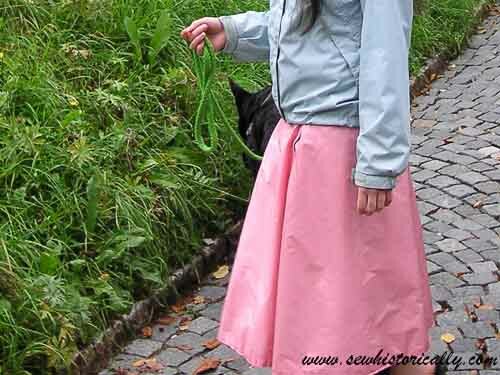 🙂 A rain skirt is so practical and so easy to sew. 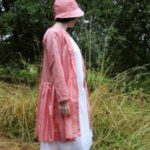 I’ve never seen a rain skirt–how creative! Thank you for sharing @Vintage Charm! Thank you! 🙂 A rain skirt is an alternative to rain pants. And a rain skirt is more practical in my opinion. I need one now. Thank you for sharing at the Snickerdoodle Create~Bake~Make link party! 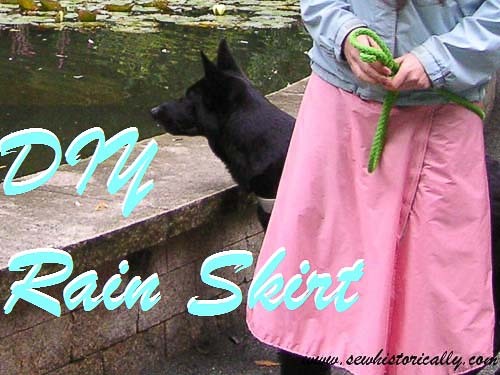 I will be featuring your rain skirt this week at Snickerdoodle. We have a water loving dog. 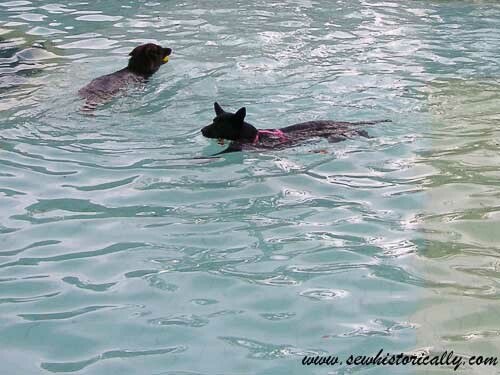 Whenever we take him to dog park in Grand Junction he wants to go on side with pond for dogs to swim. For dog that was afraid of water when we got him at a year he has changed his mind. Is good exercise for him. 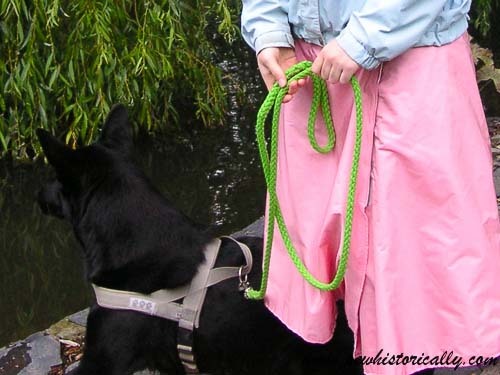 A few times when he came out of water he’s gotten me muddy and wet so a nice rain skirt would be helpful. A tutorial please? One time I fell backwards into edge of pond in white pants, UGH! Needless to say had to go home. Good thing we keep couple old blankets, towels in back of car. 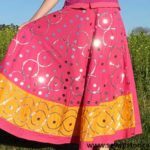 A rain skirt is really easy to make: You can use any pattern for an A-line wrap skirt – just use waterproof fabric. 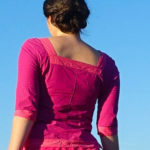 A lining isn’t necessary but if you want you can add a mesh or cotton fabric lining. Where would one find fabric like this? 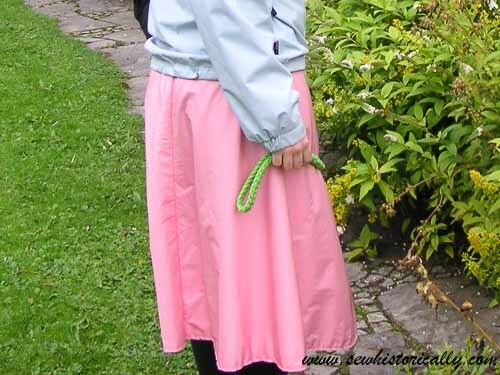 I have never seen a rain skirt – such a clever idea. Thank you! A rain skirt is so practical. I am wondering if I could use a vinyl tablecloth for fabric? This such a brilliant idea and just what I need! Waterproof trews are so uncomfy and hot! I’m off to search waterprooffabric immediately!